After a short break, we are back with some of the latest news about Nxt over these past couple of weeks in December and January. Nxt Folks – Blockchain Spikes Again! There are currently 8,430,863 Janus tokens left to purchase until the next distribution in March. Each Janus token is 1.5 NXT to purchase; for the next distribution the very lowest it will cost per token is 2.25 NXT. Please plan accordingly if you wish to take advantage of Q1 developments and the easiest entry point for cost is now. ascendus: Just for holding janus right now , you will receive dividends in NXT from BetterBets.io. Each month calculate the 90% of the NXT earned (some months won’t always be profit). We will try and keep the dividends sent around the same time [each month]. To receive dividends from the upcoming feature on BetterBets.io you just need the Nxt client. ascendus: In the future though, to received dividends from our mainstream business, we will rebrand our site Janustoken.com (holders will have to place a BTC address and a NXT address), in order to snapshot the balances of janus holders. Dividends will be paid in BTC. bjorn_bb: for those who do not realize this yet, I spent some time with the Moneypot.com team. He’s converting from a traditional bitcoind blockchain to NXT. They will be offering many options for the Rubies V2. It was our project they have now stepped in to take over. Dogedigital: Both v1 and v2 will exist at same time. The only way a R2B2 coin is created is if a matching Rubie is destroyed. The plan is to fully transition over from Rubies to R2B2 within a year. Rubies will still allow for proof of staking rewards, but will not be eligible for dividend payments. R2B2 will be eligible for dividend payments, but will not allow for proof of staking rewards. edit; The NXT asset is public and transparent. For each R2B2 going out, you will see a transaction of Rubies being sent to a burn address. Betterbets: Awesome news from the Moneypot team, this marks the beginning of new health for Rubies V2 with R2B2. My team and theirs worked on a very good strategy for long term health and benefits for all holders. There will be no more blockchain issues as it runs on Nxt and this will tie in as well to the upcoming BetterBets.io launch of NXT betting. 2017 is going to be a very great year for both teams, and this post is our way of handing over the entirety of the Rubies project in the great care of the Moneypot team. From this point we will remain here for them as advisers if they need, but this is the transition from our team to Moneypot of the destiny of Rubies. Jelurida, the recently created corporation that is in charge of developing and supporting Nxt and Ardor, has released the first version of its new website. Damelon, member of both the Nxt Foundation and Jelurida, made the public announcement and introduced some of the team members. Kristina is our excellent legal counsel. For those of you who are big fans of gossips and conspiracy theories, we already know that one of the members of Jelurida is Jean-Luc, a Nxt core developer who, since the beginning, has chosen to stay anonymous. But… who is actually behind that alias? Will he really be one of these public faces which have now be presented? Or perhaps, should we be using “she”? Does Jean-Luc really exist as a person? Is Jean-Luc actually an Artificial-Intelligence super-computer descendant of Deep-Blue who is looking for new challenges beyond chess? Only time will tell (or maybe not). The new version of the Next Reference Software has been released. The changelog includes some library updates, bug fixes, and improvements. Among them stands out the new NRS mobile app (just for Android at the moment), which was previously included for testing in the experimental versions, as we mentioned in previous newsletters. You can download the NRS update straight from your current Nxt client or from Github. Always make sure that the given SHA256 signature is exactly the same that the hash of the file. You can check it using your NRS wallet, online third party services that allows you to, or third party software, so that you are absolutely sure that you receive the original file. 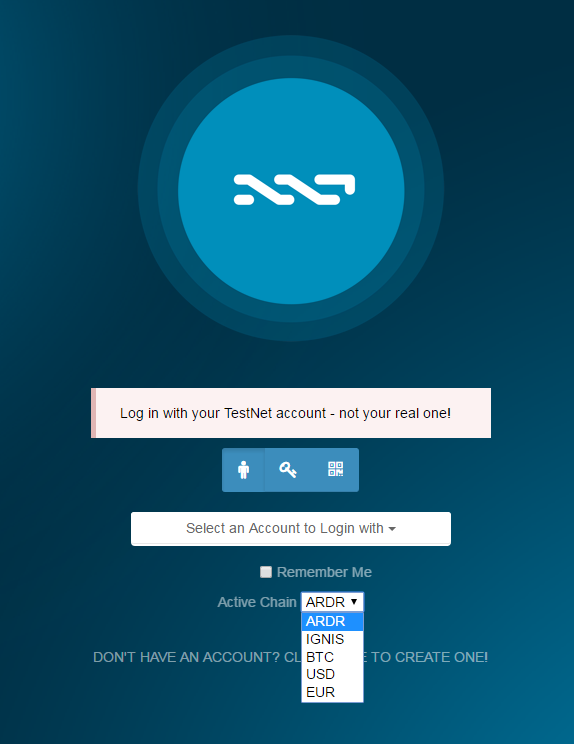 Damelon, a member of the Nxt Foundation, has shared some screenshots taken by Riker, a Nxt Core Developer, so we can see a sneak preview of what the current Ardor Graphical User Interface (GUI) looks like. It won’t be long until this software is made public for testing on testnet (expected to be released in this first quarter of 2017). At the moment, we know that the developers are happy with the progress. In the image we can see that beyond ARDR (the main chain) and IGNIS (the first child chain), the devs are already testing the future of having other childchains, some of which could be run by businesses to run fiat exchanges straight on the wallet. It is also possible for a business to set up a fiat exchange. I did one for Nxt 1.x (TokenExchange) as a consulting project which exchanged a Nxt currency with Bitcoins. I’ve started adapting this project for Nxt 2.x (CoinExchange) to exchange a child coin (not necessarily BTC) with Bitcoins. Going directly to fiat currency gets you involved in a lot of monetary regulations (AML, KYC, etc), so it is easier to use Bitcoins as an intermediate step. …Nxt 2.x will contain a Coin Exchange where users can trade child coins with each other. So the value of a particular coin will depend on what people are willing to pay for it using one of the other coins. We’ve also gotten screen shots of a child chain block and the Bundler screen. Step-by-step Ardor is coming! Le monde informatique is the first to publish that BNP Paribas is testing multi-currency transfers between their subsidiaries in Germany, Netherlands and the UK, based on Nxt blockchain tech, as Jacques Levet, Head of Transaction Banking, explains. The bank is trying to benefit from the features that blockchain technology can offer, and no doubt that Nxt can provide a bunch of possibilities that others cryptos can only imagine, so it’s no wonder that this big entity has placed its eyes on Nxt. Traditional operations and communications in banking organizations require a lot of resources and dealing with a bunch of intermediaries, which makes the process tedious, slow and more expensive. To try to solve this, BNP Paribas is searching for new solutions, like Nxt. Cointelegraph and Coindesk have also echoed about this great piece of news but, unfortunately, it completely slipped their minds to recall that it’s not any blokchain but the Nxt blockchain specifically that BNP Paribas is testing. With this words Serguei Popov, with the alias mthcl, announced that the first academic journal on blockchain technology, which is called Ledger Journal, published by the University of Pittsburgh, will include an in-depth article about the Nxt Forging Algorithm that he has written. Popov has been doing a great and thorough job in this field for many years, as he’s been studying and analyzing how the block generation in Nxt (aka forging) works, probabilities of forging blocks by an account, concurrent blockchains, some possible attack vectors, and how Nxt deals with it. All of this is gone over in this great article. This article published on Cointelegraph by Angus Leung talks about the initiative started by John McAfee to set up an anonymous email system using blockchain technology and how this project compares to Cryptamail, a project that uses the Nxt blockchain that has some advantages against John McAfee’s Swiftcoin. Cryptamail is a 100% decentralized and email system built on top of the Nxt protocol that makes use of the Nxt Arbitrary Messages feature to achieve this objective. There is no central central server, so there is no third party to trust. There is also no central point that stores your messages, so there is nowhere to steal or even submit a request for your private data. It’s completely secure. Coinpedia is an independent and free online information hub that provides a platform for cryptocurrencies to introduce and update their information to the public. Coinpedia is an open and comprehensive general reference work on the Internet and has positioned itself to make a useful difference. Coinpedia is owned by nonprofit firm. This week this CrytpoCurrency Encyclopedia has finally listed Nxt. 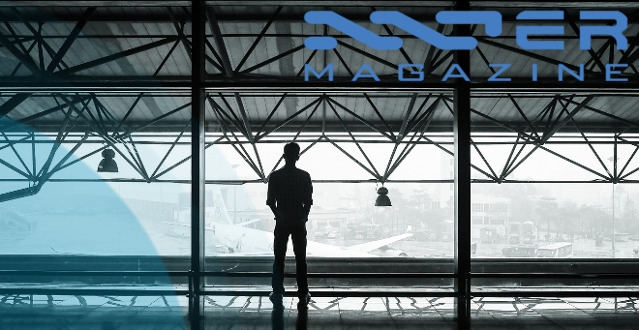 There, the general public can get a brief introduction about Nxt, a listing of some of its features, such as the Monetary System and the Alias System, and some other basic information that will come in handy for newcomers to the cryptoworld and to this platform. TheWireMaster wrote this interesting article published at Nxt Folks. The author is glad to see the Bitcoin rally that took place last week because, in spite of the reason behind this price raise is unknown and could just be due to speculative moments, it draws people’s attention to blockchain technology. These are people who probably would never have heard of this technology if it hadn’t been for this exceptional exposure. As he states in his article, not only Bitcoin but all the good cryptos like Nxt will benefit from this scenario, because once people has learned about this technology, it feels natural to search for cryptos other than Bitcoin that can offer a wider variety of features, such is the case with Nxt and Ardor, which the author reminds us.